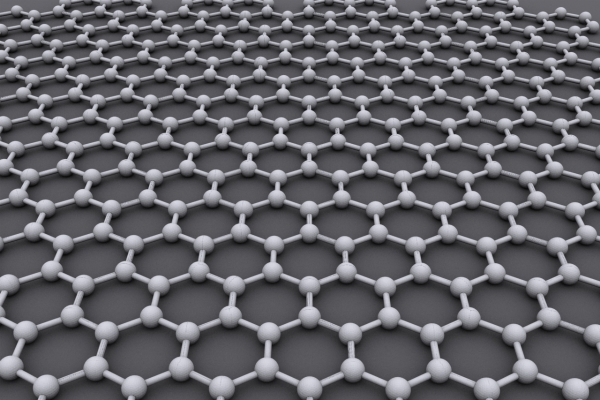 Scientists have found that dragging small droplets of salt water across graphene generates electricity. Graphene, the material that just keeps on giving, could provide the basis of small-scale hydroelectric generators, new research suggests. Researchers from China have shown that running a droplet of salt water across a layer of graphene can generate a small amount of electricity - and the faster the water flows, the higher the voltage they generated. The study, published in Nature Nanotechnology, is the first to demonstrate this effect, and also revealed that the voltage increased when multiple droplets of the same size were moved across the graphene at once. The scientists found that electrons are desorbed from the graphene at one end of the droplet and are adsorbed into the graphene at another end, which results in a large potential on one side of the droplet and generates a measurable voltage across its length. The researchers also scaled up the technology using a droplet of copper chloride and a tilted surface of graphene for it to flow across, and revealed this system could generate a measurable voltage of around 30mV. This may not be much right now - it's relatively much lower than the amount produced by today's large-scale hydroelectric generators - but the nano-sized generators could work with small devices and can easily be scaled up, giving them pretty huge potential.